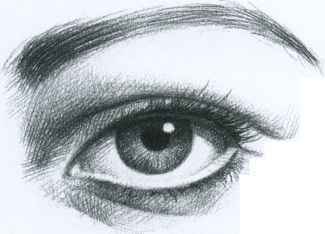 Below are drawings of eyes. You will be drawing your own eye. What do you notice? All of these drawings are extremely detailed and realistic. very pretty. all these drawings pay close attention to putting the little details into the drawing and making it as realistic as possible. They are all basically shaded like spheres and have definite shapes over the sphere. 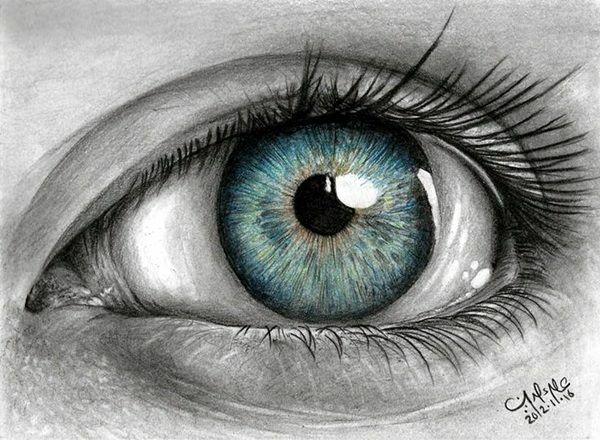 all of them show the details of the eye. they all show the tears built up in the eye/the color(in some)/the lashes and the cornea of the eye. They show how light reflects off the eye and also the reflection of what the eye is looking at. 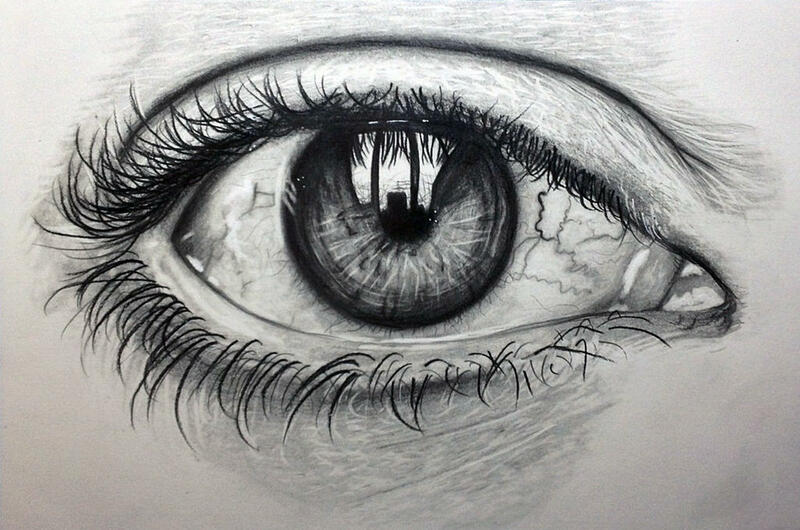 All of the eyes show an emotion, as well as reflecting what it is focused on. I notice that all of the eyes have a reflection in them even if it is just light or an actual image. Each eye has a reflection of light. All of these drawings are so pretty! The second and third ones look so real they don't look like they would be possible to draw. I noticed that each and every one has so much detail making them look so realistic. But at the same time each one is different in its own way. These pictures are so realistic that, at first, i thought they were pictures of eyes. There are a lot a layers that go unnoticed by other human eyes. They're much more complicated that they look at first glance.